Alpha Kappa Alpha Sorority , Inc. 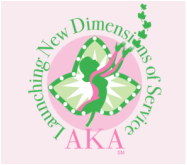 The AKA's "on the yard"
Program Initiatives of Alpha Kappa Alpha Sorority, Inc.
change every 4 years. The 2014-2018 initiatives will focus on Launching New Dimensions of Service. Members will engage in the youth enrichment program ASCEND (Achievement, Self-Awareness, Communication, Engagement, Networking and Developmental Skill) with efforts designed to motivate, engage, and assist high school students with their potential of advancement to higher education. Members will also, support students through AKA One Million Backpacks efforts where the organization will donate and distribute over the course of four years, one million backpacks and supplies collectively. AKA will also partake in Think HBCU, where the organization will support and highlight historically Black Colleges and Universities. AKA will support health promotion through three areas: Alzheimer's Disease, Stroke, and Mental Illness. Members will bring awareness to these health areas through programs, support of research studies, prevention awareness campaigns, and emphasizing prevention methods. Targets critical issues facing many families including lack of food, shelter, and financial means. Childhood hunger initiatives will be launched in partner with local agencies, food banks, an community pantries. Family Seasonal Wraps sponsors initiatives to collect and donate hats, gloves, socks, scarves, coats, sweaters, and other seasonal wraps for families in need. Fiscal Responsibility Programs, members will work with partner organizations and families to help increase knowledge and understanding of budgeting, basic financial planning and benefits of home ownership. AKA will implement programs to provide healthy environments and improve the quality of life in underserved communities. AKA playground project will be launched to ensure that children have safe locations to play, and also restore or renew 1,908 playgrounds in local communities and schools through Restore, Refresh, and Renew project. With the AKA Acts of Green project, members will promote environmental sustainability by encouraging recycling, litter prevention, and waste management through daily green efforts within local communities. The sorority will implement the UNA-USA Global Classroom project, which is designed to prepare youth for an increasingly global and complex society. AKA will partner with the UNA-USA (United Nations Association), to help expand knowledge of UN and it's mission. AKA will also renew it's partnership with Africare, and will implement youth hunger initiatives on the continent of Africa.